Superbly positioned on the hillside of Massa Lubrense and overlooking the Mediterranean Sea with distant views of Capri, Ischia and Procida, as well as the ever-imposing Mount Vesuvius, is Villa Aqvara. 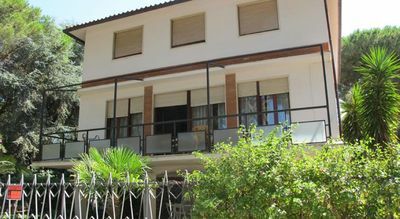 Villa Aqvara is split over three levels with independent access and comprises the main Villa and a top floor loft apartment. 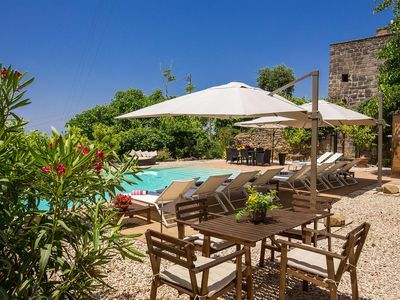 The Villa comfortably accommodates up to 10 people and boasts five bedrooms, six and a half bathrooms, period living spaces furnished with antiques, two large dining areas and two kitchens perfect for preparing some of the best organic Mediterranean dishes that the area offers. 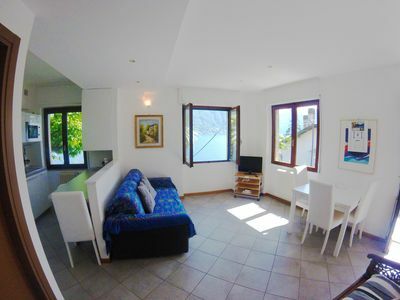 In addition, the newly renovated loft apartments offers a stupendous terrace with views of the entire Gulf of Naples. It is modern and full of character and charm and enjoys one bedroom with ensuite bathroom, open plan kitchen, living and dining area. The property has been restored to the highest standard, combining the best of Italian history and tradition with today’s modern comforts. 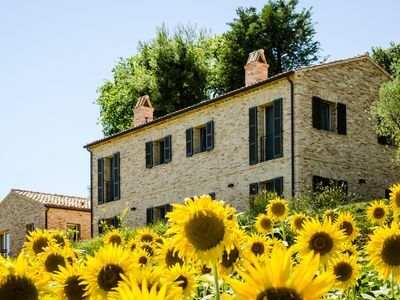 The gorgeous gardens of the Villa are perfect for a yoga retreat or delighting in the sun and expand some 700 square metres cascading three levels. The lower level platform has a private garden and houses a spectacular 5mx10m saltwater pool surrounded by wooden deck, sun beds, hammock, outdoor lounges and a lovely stone garden offering plenty of time for zen relaxation. Guests are able to relax and enjoy absolute comfort while they delight in the informal and peaceful atmosphere provided by the home and its grounds. 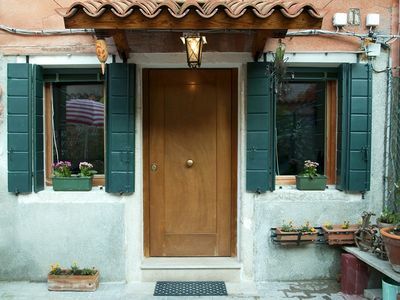 For a completely authentic and memorable holiday, Villa Aqvara is the perfect choice. Built in 1776 by the Baron of Cerqueto, Vincenzo Maria Ajello, just ten years after the signing of the Declaration of Independence, Villa Aqvara oozes with a rich architectural history that will allow you to experience aristocratic life back in the 18th Century. 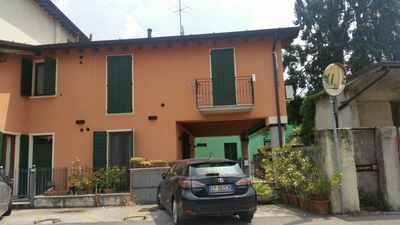 The Villa is set high on the hills of Aquara, a faction of Massa Lubrense, and has been tastefully renovated throughout with great detail in retaining the many original features of the villa including an Italian Roccoco fountain at the main entrance and eighteenth-century terra cotta and faience tiles by Giustiniani, Del Vecchio and Delle Donne that act as feature pieces across many of the walls and floors of the villa. 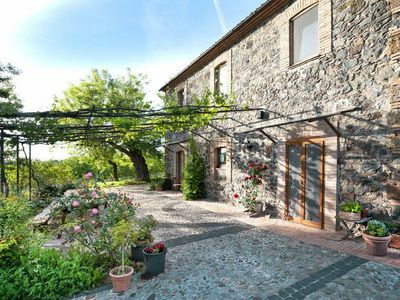 The name of the Villa originates from the abundance of spring water once present in the area, and which today continues to supply the local farming community. 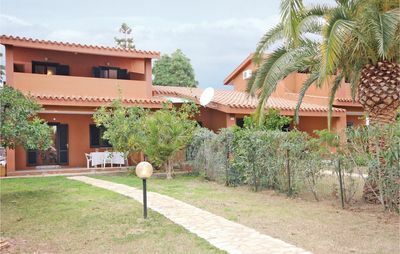 Villa Aqvara enjoys all the modern comforts for a perfect holiday including centralised heating/air-conditioning, WiFi internet and Satellite TV. 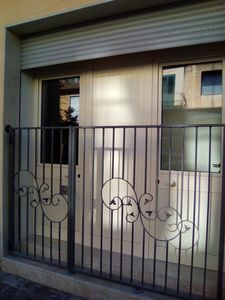 The Villa has two entrance points, a pathway descending down a number of stairs from street level, and entry via the villa carpark. At the entrance of the villa is a fantastic Italian Rococo style fountain made of lava stone and tuff and dates back to late Baroque period. As you enter through an arched wooden doorway into the welcome hall and principal courtyard of the villa, you will be mesmerized by the sweeping oceans views looking out to the surrounding mountainside and the islands of Capri, Ischia and Procida. Entry into the villa is on the ground level. The internal courtyard is at the heart of the villa and is the central convivial space where all guests can come together to wine and dine while enjoying the distant water views. The large terrace with lounge and sofa seating, barbecue and a picturesque water well that was in use up until 2008 will definitely take you back to a bygone era. 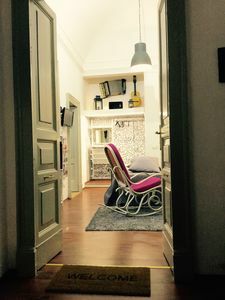 The main entry hall of the Villa follows the etiquacy of this period house offering a simply guest bathroom for refreshing. There are two spacious double bedrooms on this level furnished with queen sized beds, wardrobes and ensuite bathrooms fitted with adjustable rain and handheld showerheads, WC, bidet and wash basin. Each bathroom is reflective of its time with many of the original features retained including tiled floors, gorgeous marble walls and impeccable wooden trimming. The large eat-in kitchen is professionally equipped and available for your own use, or on request, the Gocce Concierge team can organise a private chef to cater for your party, using traditional local recipes, and genuine DOC-certified products of the Sorrento Peninsula. The kitchen is complete with a 5-burner gas stove, oven, refrigerator/freezer, microwave, dishwasher, kettle, toaster and all the necessary cooking utensils to make meal preparation a breeze. The dining table for eight completes this magnificent kitchen, while there is a secondary sun/dining room with table seating for an additional 4-6 people. 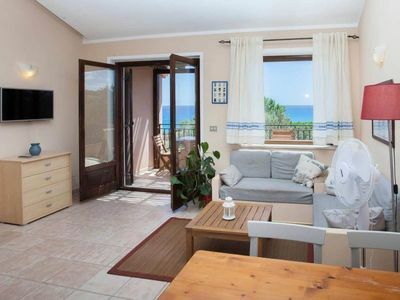 Just off the kitchen, you will find an informal living room, complete with a 32” flat screen television, comfortable sofa, and a large bay window with spectacular views of the Mediterranean. Outside, and off the main terrace, there is also an enclosed laundry room with a late-model washing machine for your convenience. Up an external stone stairway from the ground level courtyard and you will reach the second level of the villa. The main entrance opens onto a light and spacious dining room furnished with wooden antiques including an eight seater pinewood dining set with velvet green seats and a draping chandelier. There are a set of narrow double doors that open out onto a Juliette balcony, again offering sweeping views of the islands and coastline. 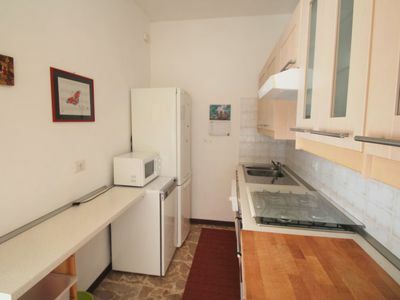 A second and recently refurbished kitchen is also located on this level and is equipped with all the necessary comforts including a 5-burner gas stove, oven, refrigerator/freezer, dishwasher, kettle and toaster. One of the highlights of the second floor of Villa Aqvara is its 8 metre high domed ceilings which create an air of grandeur and inspire wonder. 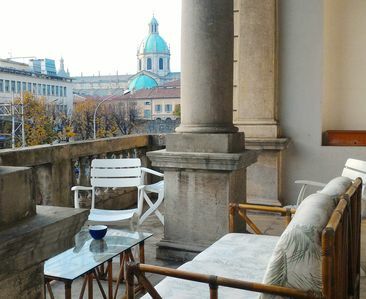 There are two spacious double bedrooms with high domed ceilings furnished with queen sized beds, wardrobes and ensuite bathrooms fitted with adjustable rain and handheld showerheads, WC, bidet and wash basin. The bathrooms and central floor pieces throughout the living and reading rooms feature Riggiole tiles dating back to the 17th Century. Following the main passage of the Villa through several arched doorways and you will reach what has to be the main splendour of Villa Aqvara – two large bay glass windows overlooking the Mediterranean and beyond. These glass windows span most of the wall of the living and lounge rooms and offer a cushioned seating area to lose yourself in the beauty and serenity of the place. The entwined lounge, reading and sitting rooms are furnished with great attention to detail with its period wall prints and decorations being sure to remind us of the aristocratic past of the Villa. The lounge room is furnished with three double sofa lounges where you and your loved ones can relax or sit back and enjoy a movie on the 32” flat screen satellite television. An added feature of the second floor is another guest bathroom located just off the hallway. 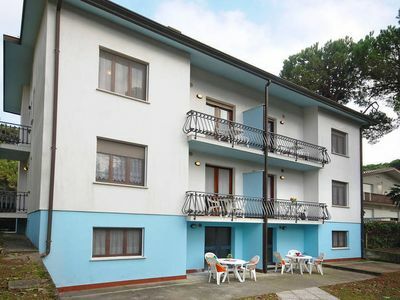 Continuing up the external stairwell, you reach the newly refurbished and modern one bedroom loft apartment. 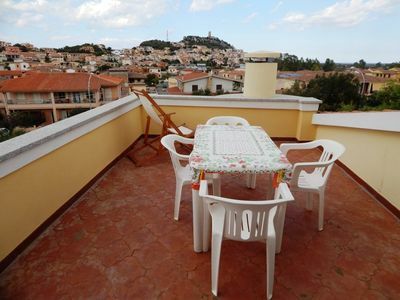 With possibly the best views in the Villa, the apartment enjoys a Juliette balcony off the main living space and a large furnished terrace that sits high above any other property in the area. 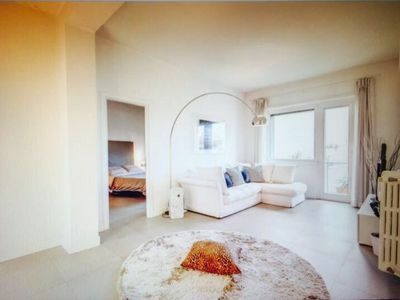 The open plan kitchen, dining and living space is well equipped with all the necessary comforts for independent living and includes a large 3-seater lounge with double sofa bed option, bench table with four stools and a kitchenette with 4 burner electric cooktop, fridge/freezer, dishwasher and all the necessary cooking equipment. Up several stairs and you reach an interesting space of the loft apartment - the ceiling of the Villa. Here you will see cement mounds protruding from the ground. These are the tops of the domed ceilings from below. This space is open to interpretation and can be used for relaxation, yoga, meditation and is adorned with books and plenty of light from the skylights dotted throughout. The main double bedroom is located down a few steps and offers a marble ensuite bathroom fitted with adjustable rain and handheld showerheads, WC, bidet and wash basin. The architecturally planned skylight that sits above the bed is perfect for star gazing at night. Very romantic indeed! The loft has a large panoramic terrace neatly furnished with an outdoor setting that overlooks the entire Gulf of Naples. The gardens of the Villa are vast and offer plenty of gorgeous shady spots where you can set yourself up with a cool drink and a good book. The space is ideal for families with young children. A stone staircase leads to the lower ground level garden, where you will find the swimming pool, change room/bathroom and shower. The in-ground saltwater pool measures 5m x 10m and is surrounded by a lovely wooden deck and stone garden furnished with hammock, sunbeds and dining area. 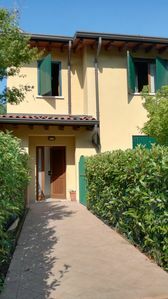 Villa Aqvara is located in the hillside of Massa Lubrense and is only a short 2km from the quaint townships of Sant’ Agata sui due Golfi. There is much to enjoy within Sant'Agata sui due Golfi, including great shops and Michelin star restaurants, the parish church, the Monastery of Deserto and various archaeological ruins. 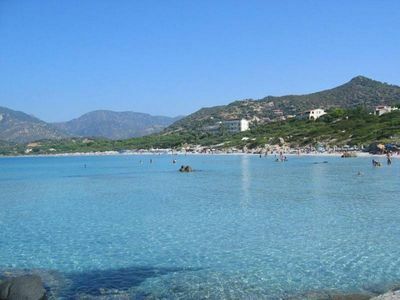 If you enjoy walking, there are many trails along the coast and inland with trails beginning not far from the Villa. 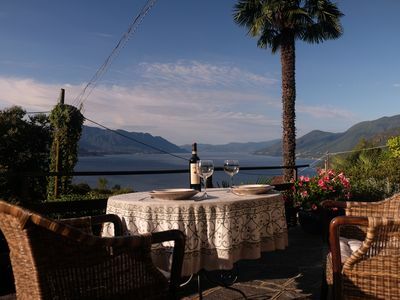 Villa Aqvara is the perfect base from which to explore the many wonderful splendours of the Amalfi and Sorrento Coasts including Sorrento Historical Centre (12km), Positano (18km), Amalfi, Ravello, Capri Island and Pompeii and Vesuvio. Unfortunately, due to previous issues we must advise that the maximum number of guests at Villa Aqvara is 15 people. This quota MUST be respected. Should a booking at any time not respect these numbers and/or allow for additional guests to stay at the property thereby exceeding the max. number of people allowed, a penalty will be imposed and guests will be asked to leave immediatley. 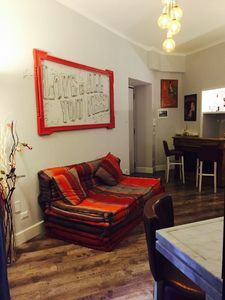 1) Guests have complimentary access to the pool, cafe/bar and restaurant at Gocce di Capri - Hotel & Serviced Residence located near the square of Termini. Bookings essential. 2) From the 1st April to the 31st of October, a mandatory tourist tax of 2,00 euros per person per night (for guests 18 years and over) for a maximum of 5 nights must be paid in cash on arrival. This is a government tax, payable by all tourists staying in the Municipal Council of Massa Lubrense. 3) A late check-in surcharge of €30 applies to all arrivals after 10:30pm which must be paid in cash to the host on arrival.